Click HERE for sale priced products we offer!!!! Please note: We no longer offer FREE shipping, you will be accessed a separate charge for shipping... it will be added to the credit card used for purchasing. There are several items that are either seasonal or have time considerations attached, therefore delivery times may vary from our typical practices and products.... also we vacation after the 1st of the year and orders made at that time could be delayed. Orders may not be processed for up to 5 (business) days depending on volume at the time. We no longer offer free shipping. 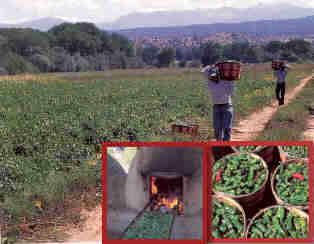 FRESH chile orders are usually shipped from late August until mid October. We are not responsible for shipping company errors, accidents, or delays. If it's our responsibility such as shipping the wrong item, we will be responsible for replacement, but if it's lost by USPS, Fed Ex, or UPS, we do not accept the liability. Yes, we will work with you to exact what ever claim you make, but we are not accepting responsibility for their mistake/s. All orders are subject to availability. Phone calls accepted during office hours only - 8:30 am - 5:30 pm Mountain Time. 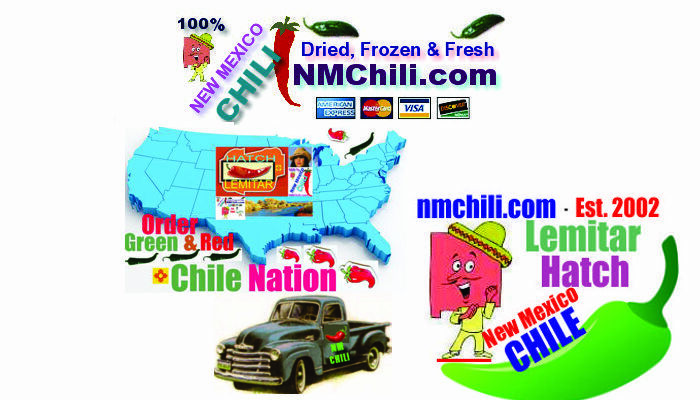 Click here for fresh chile or here for our NEWEST products! 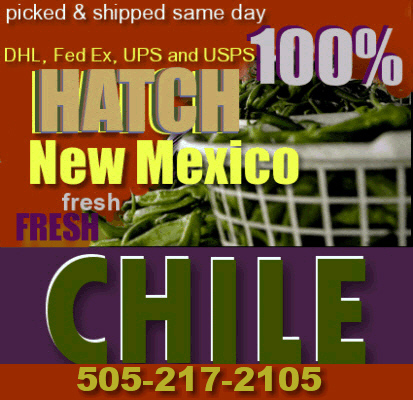 Ever wonder why New Mexico, the "Land of Enchantment" and Hatch, NM in particular, are so widely known for our chile crop? New Mexico is a mosaic where various cultural ingredients intermingle and complement each other, while each retains its basic identity. The mosaic has been collecting pieces since Coronado's expedition. Perhaps the most essential ingredient for any New Mexico recipe is the famous chile, or chili pepper that grows in 2,000 different varieties. And each and every one of them is spectacular in taste! Depending on the variety, growth and harvest conditions, "hotness" can vary. Your cook/waiter will know which is hotter. If you're the adventurous sort, ask for "Christmas"--a sample of red and green chile/chili served side-by-side. 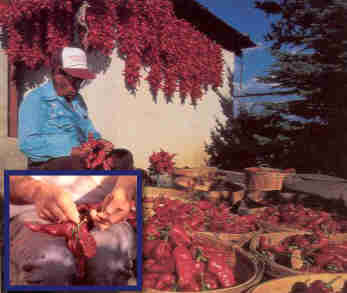 New Mexico is the leading state in pungent chile/chili production with more than 21,000 acres under cultivation in 1998. The Capsicum species, encompassing a wide range of colors, sizes, shapes and spiciness, are roasted, stewed, fried, cooked or simply added fresh off the plant. Chile, or chili generally comes in either a red or green sauce.